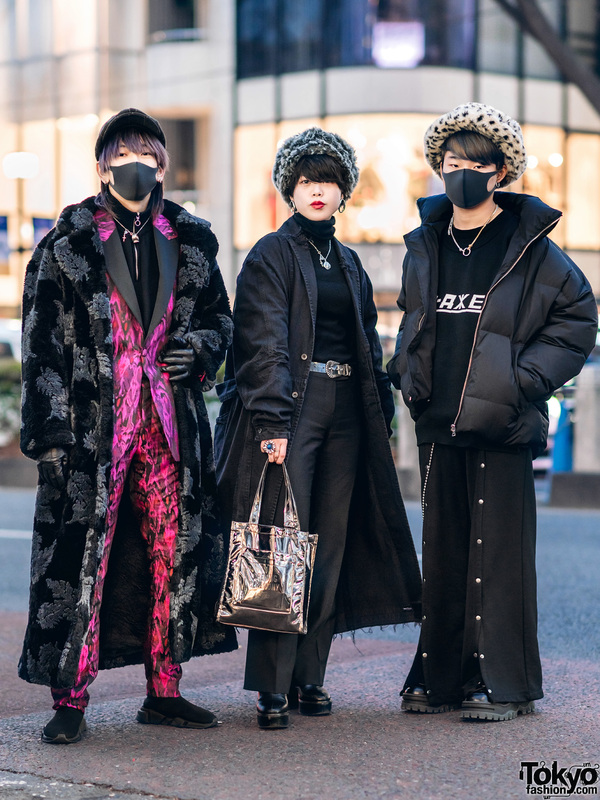 Harajuku girls wearing a green floral silk skirt and a leopard print silk top. 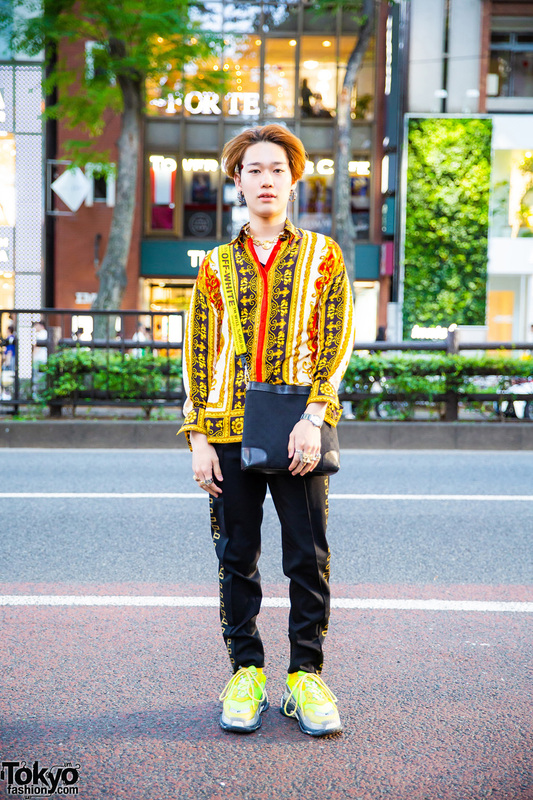 Harajuku guy in paisley print and designer street fashion. Harajuku girl sporting an edgy cut-out street style with off-the-shoulder cropped top, shorts with stirrups, leather harness and metallic tote bag.